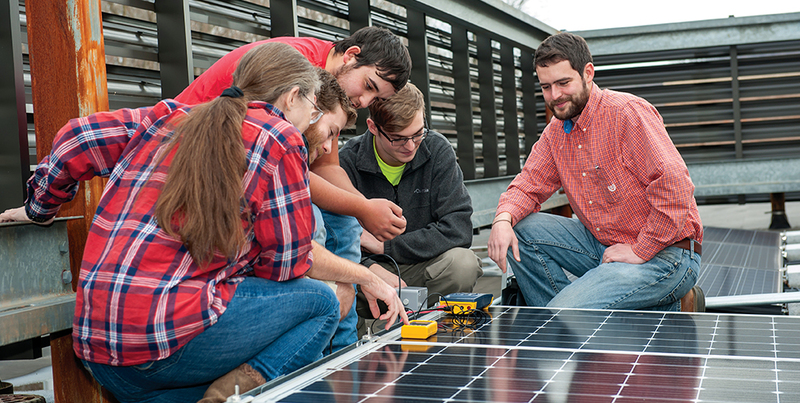 Central Virginia Community College (CVCC) now offers an Energy Technology program, designed for students who want to work in the electric and energy industries as an entry level technician or solar panel installer. Fitting naturally with other Central Virginia workforce initiatives, the program brings together educators and local businesses to train young people in this rapidly growing industry. To create the Energy Technology program curriculum, CVCC partnered with the Center for Energy Workforce Development to make sure the degree aligns perfectly with the industry’s expectations for incoming employees. College System, funded through Dominion Power, to build their solar lab. Training the local workforce was the main goal, leading CVCC to consult local energy companies. “One of the advantages we have here is a great working relationship with the local energy companies. They’re very supportive of the college,” explained Sandidge. Those local companies include: Appalachian Power Company, Affordable Energy Concepts, BWX Technologies, Dominion Power, Areva and TRAX. One of those partners, Affordable Energy Concepts, installed CVCC’s solar lab and will support one of the core classes, “Photovoltaic Energy Systems.” Alex Haney, Project Manager at Affordable Energy Concepts and Adjunct Professor at CVCC, will expose students to industry fundamentals using the equipment on the rooftop solar lab. Haney believes the class will prepare students to work with a construction team on solar installations. “In the class, students will learn a lot about how to do a site assessment. Meaning, which side of the roof to put the panels on or where in a field you would put it,” he says. Upon completion of the program, students will be ready for a certification through the North American Board of Certified Energy Practitioners. Although most employers don’t require certification to work on an installation, it will bolster students’ resumes during the job search. The demand for workers continues to increase. 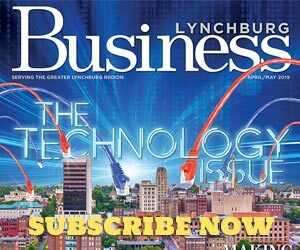 “CVCC believes this is a good time to push energy. We know the industry is calling for a workforce because the current workforce is going to retire over the next five to ten years. They’re going to lose a third to a half of their workers just due to retirement. So, we want to help the industry be ready to meet their workforce needs,” Wallin explains. For those expressing an early interest in solar energy, high schoolers can inquire about dual enrollment. Some of the classes are approved by the Virginia Department of Education. Then, students can transfer to CVCC and complete the program in one year or less. As the demand for solar energy continues to grow, so does the need for a capable, trained workforce. CVCC sees their role in the process as a simple one: prepare local students for a bright future in the exciting, expanding energy industry.